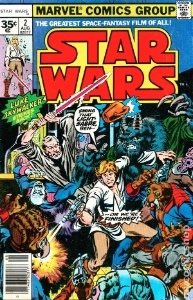 Star Wars Comics 1977 Value? Quick question: I have Star Wars number 2 the 30 and 35 cent versions and a bunch others... I read your article about the 35c variant being worth much more but after looking on Ebay I say them for around 6 to 7 bucks... totally confused. Editor's reply: Hi Jeff, thanks for writing. 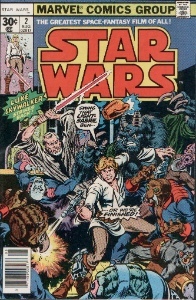 When the Star Wars comics were first published, there was a limited variation in the original price (then 30c) for issues #1 - #4. Each was distributed in a small geographical region. It's estimated that 1,500 in total of Star Wars #1 was issued with 35c in a SQUARE BOX. The numbers for #2 to #4 are thought to be a little higher, but not more than 3,000 copies. 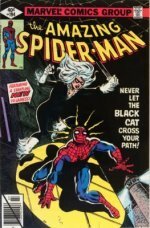 The cheap ones on eBay are the reprints, re-issued later at the (by then) regular cover price of 35c in a DIAMOND. You may also see the word REPRINT down the top left hand side of the price area. Hope this clears up your confusion. I've attached photos to illustrate. 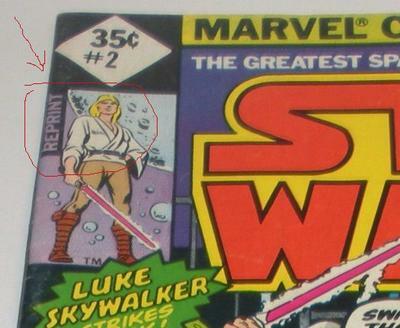 Comments for Star Wars Comics 1977 Value? There are so many versions of early Star Wars books that we have created an article to identify the valuable ones. If you have any of the 35c variants WITH barcode at bottom left, then please get back in touch. Books WITHOUT a bar code were sold in poly bags for 3@99c and are reprints. Are these 3 comics of any value or should I throw them away? 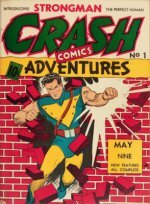 I bought these comics as a kid when they came out.